Sharing news and telling the story of Growing Food Connections to keep you informed. Washington, D.C., March 2, 2015 – Eight communities across the country will receive training and assistance to link family farmers and local residents who lack access to healthy food. Growing Food Connections (GFC) will help local governments, planners, family farmers, and consumers work together to strengthen their food systems. Over a three-year period, GFC will help local governments create their own plans, policies, partnerships, and make public investment to support family farmers and enhance food security. The COOs will also serve as models for other communities nationwide that face similar challenges. 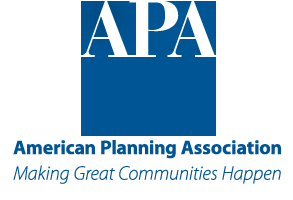 AFT will lead outreach efforts in partnership with the Food Systems Planning and Healthy Communities Lab at the University at Buffalo, State University of New York (GFC project lead), Ohio State University, and Cultivating Healthy Places. The American Planning Association and the Growing Food Connections National Advisory Committee also advise the project. Learn more about GFC at growingfoodconnections.org. GFC is a five-year, $3.96 million research initiative funded by award #2012-68004-19894, Agriculture and Food Research Initiative of the National Institute of Food and Agriculture of the U.S. Department of Agriculture.